In the first episode in a three-part series, Hall is joined by William Santana Li of Knightscope. We kick off the episode learning about Bill’s past before joining Knightscope. Bill is a seasoned entrepreneur, intrapreneur and former corporate executive at Ford Motor Company. 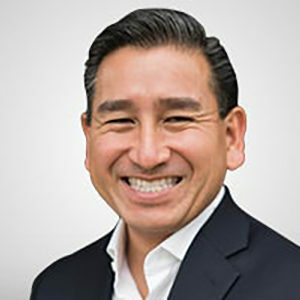 He was founder and COO of GreenLeaf, which became the world’s 2nd largest automotive recycler (now part of NASDAQ: LKQ) and has a BSEE from Carnegie Mellon University and MBA from University of Detroit Mercy. In this episode, Bill and Hall speak about the state of autonomous technology. Are we going to be all being chauffeured in self-driving cars in the next couple of years? They speak about how much money is being invested in autonomous self-driving technology, how many companies are working on the same, major challenges and barriers, and what Knightscope has done in this field. Knightscope’s long-term mission is to make the United States of America the safest country in the world, changing everything for everyone. Imagine if that lofty goal could be met – the impact on housing prices, volatility of financial markets, insurance rates, property values, municipal budgets, viability of a local business and the safety of your family, friends and loved ones would be profound. You can find Knightscope at http://knightscope.com/. Bill can be reached on LinkedIn at https://www.linkedin.com/in/williamsantanali. For more episodes from Investor Connect, please visit the site at: investorconnect.org. Copyright (c) 2019, Hall Martin and Investor Connect. All rights reserved.